At Forpark the design process is very consultative and hands-on. We take the time to listen and work closely with you in taking your project from concept to reality. 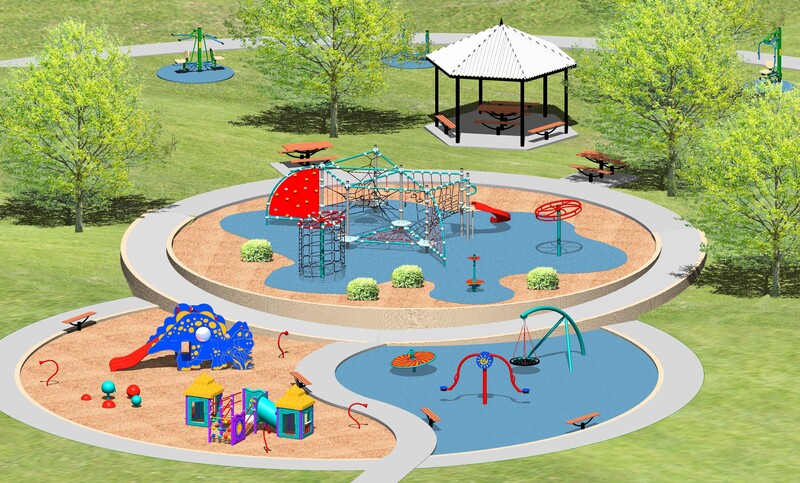 We work closely with our extensive network of playground subcontractors to deliver beautifully integrated play spaces. Our experienced design consultants meet with you on site, where possible to gain a full understanding of your project and objectives. They will survey the proposed site taking into account any environmental factors that may have a bearing on your project. You design consultant will prepare 2D plans and computer generated 3D images of the proposed equipment. These are presented to you with a quotation detailing all costs associated with the project. The moment the order has been placed, we begin manufacturing the equipment and scheduling all works for the installation. All manufacturing takes place in our own factories. This ensures strict quality control. Once the installation is complete an inspection is carried out to ensure that everything is compliant with the relevant standards as well as our own quality standards. We will also provide you with a compliance certificate and a maintenance schedule. As the largest playground equipment manufacturer in Australia we have built an enviable reputation for service and reliability. We offer our customers the peace of mind knowing that we will still be here to provide product service and support into the future.